The JSG Oceana Pop-Up Drain without overflow in Brushed Nickel provides a decorative alternative to a standard grid or traditional drain with a pull lever. The drain is suitable for use with all styles of bathroom sinks; vessels, drop-in, or undermounts (sold separately). The Clearflo adjustable trip lever pop-up drain features a contoured overflow hood that works perfectly with Tea-for-Two(R) baths and whirlpools. You can depend on solid-brass construction for durability and reliability, and KOHLER finishes resist corrosion and tarnishing, exceeding industry durability standards over two times. Installation flexibility is ensured with above- or through-the-floor options. This 100% lead-free brass pop-up drain is designed to fit any sink with overflow measuring 1.5" - 1.75". For easy installation, all required rubber gaskets are included. Match the finish to your bathroom faucet for a beautifully coordinated look. Benefits & Features: Lead-Free Brass Construction Superior Corrosion & Rust-Resistant Finish Designed to Work w/ Sinks w/ Overflow Fits Standard 1.75" Drain Opening All Rubber Gaskets Included for Installation Limited Lifetime Warranty height: 7.56" diameter: 2.5" drain hole size: 1.5" - 1.75" connection size: 1.25"
Pop Up drain is designed to work with any vessel sink with above counter installation, including glass, stone and ceramic (without overflow). 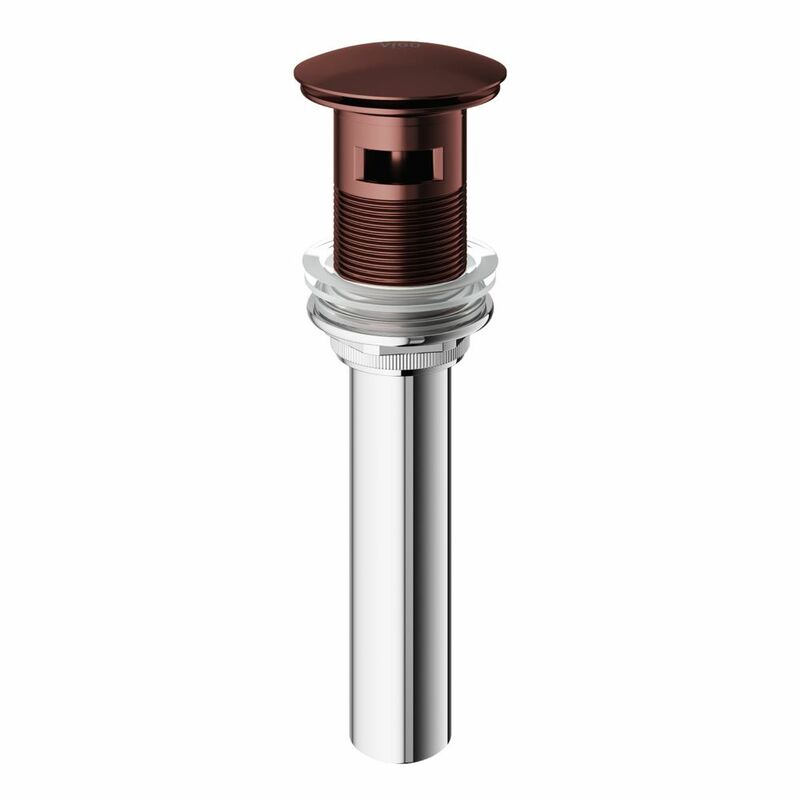 Pop Up drain is constructed from solid brass and available in chrome, satin nickel, oil rubbed bronze and gold finishes. Fits any standard 1. Bathroom Sink Pop-Up Drain with Overflow in Oil Rubbed Bronze is rated 4.5 out of 5 by 33.